When you think about the biggest challenges that you’ve had in your life, very often, the top ones will relate to other people’s behaviour. 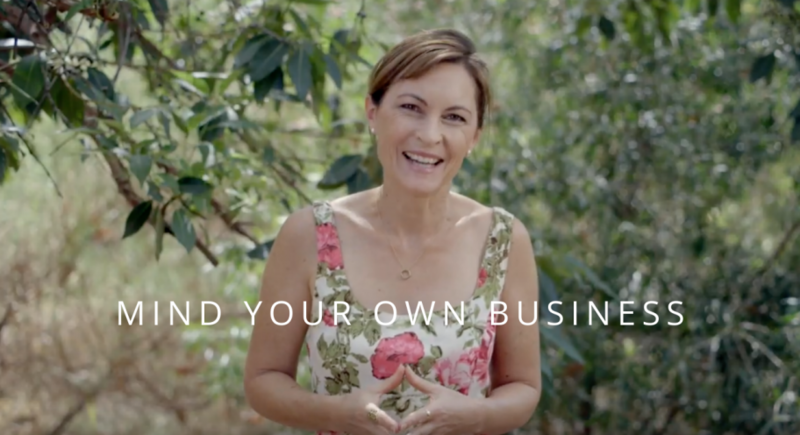 Author Baron Katie points out that there are three kinds of business – Your business, other’s business, and God’s business (things that aren’t in our control). When we are trying to control or fight against the way that other people are acting or thinking, or situations that we have no control over, we are in other’s business. And when we don’t stay in our own business, we suffer. If you’re worrying about what others think, or wanting them to behave differently, you’re in their business, even if it’s affecting you. The key to finding peace with these situations and conflicts, is for us to set boundaries and focus on how we want to respond to the way that others act. Remembering this and staying in our own business relieves so much suffering. This concept has really helped me a lot and countless other women that I have worked with. And I hope that it helps you too! You can sign up for my email updates & my free “Meditation Made Easy” video & 5 Minute Express Guided Meditation here. You’re welcome Allison! Thanks for your comment. I’m so glad you found it helpful Lucille! I agree, it does make life so much easier. It’s made a big difference for me (and others!). Thank you Kelly, you are amazing! I am a pensioner now so I cant afford your retreats (which sound fantastic and worth every cent I am sure..) but I find your videos really helpful and so down to earth.